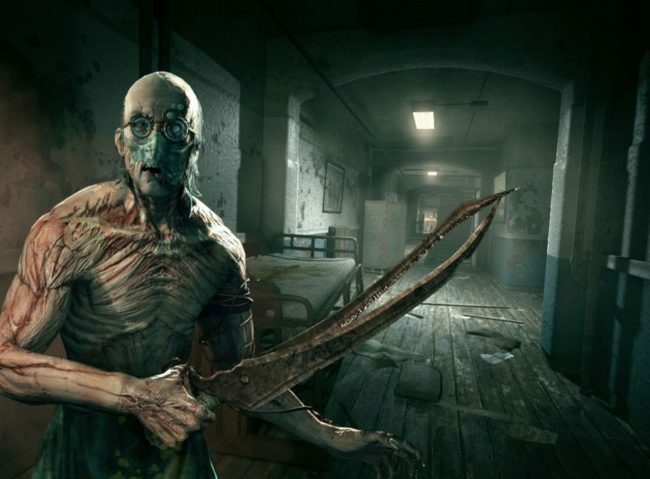 Horror games are among the most exciting type of video games to play. They are scary, full of adrenaline, and will have you jumping in your seat. In case you haven’t noticed already, I am a big fan of scary games. My love for scary video games started back in the 1990s with Doom, and it grew with games such as Silent Hill, Bioshock, and Resident Evil, among others. And, now that video games are available on practically every type of platform, I thought I would round up the best scary games on mobile devices. Here are my top 3 favorite horror video games and some of my thoughts on each one. My first pick is Granny. I found this to be both a hilarious and terrifying game, as you are chased by your evil Granny who wants to trap you in her house, so you are never able to leave. I particularly like the unique twist which is a fresh take from the traditional escape-the-monster game. There are four different difficulty levels to choose from. So far, I have played through the first two and they have been extremely fun. I must admit she does get to a bit terrifying at times, so I can’t wait to see what the harder levels bring to the table. I also like that you can learn more about your creepy Granny by exploring the house and uncovering her secrets. While I have yet to try the third difficulty level, I read comments from other players who say that the higher levels are significantly more difficult. I did notice that Granny moves faster as you increase the level, so I can imagine that the next level is going to be quite challenging. But to be honest, it just adds to the thrill and excitement of the game. And, if you find that a level is too hard for you, turn it down a notch and practice your skills escaping Granny! Another horror game I really like is Last Day on Earth: Survival. I particularly like how it perfectly combines the horror of surviving a zombie-infested world with the resource-gathering and crafting experience of creating your own weapons. Not only do you need to build up and protect your shelter, but you also need to go hunting for food and find unique items to build a variety of weapons. I also like the weapons selection, as you can truly use practically any type of weapon, including guns, bats, and even road signs. The only drawback I found is that if you die when exploring the map, you run the risk of losing any weapons you had with you. While I did lose some great weapons, I must admit that It does make the game more realistic, which also makes it more thrilling when you head out into the unknown. My third pick for the best horror game is The Room. Without giving away any details on the story, I can say that you start in a mysterious home with a letter from a ‘friend’ who tells you to reach the highest floor as you are in great peril. From the moment you start exploring your way through the house, you realize how well the game has been created. From the striking visuals to the creepy and eerie sounds, I found the game to be truly outstanding. I also liked the variety of puzzles, as they play with your mind by tricking you into believing something, when in fact, it may be the complete opposite. This horror game is not so much about killing monsters or zombies, as many other horror games are. Instead, The Room plays with your mind by tapping into basic fears with its highly immersive world. While I usually prefer horror shooters or action-packed games, the thrill and suspense I felt playing The Room easily earn it a spot on my top 3 list. That’s it! These are my top 3 favorite horror games for mobile devices. They all are completely different, but they all manage to creep under your skin and get you on the edge of your seat. So, if you like horror games, I would recommend you download all three and see if you’ve got what it takes to reach the end of the games. Just in case you can’t get enough of horror games, I’ll drop a link of a site I found during my research which has a list of the best 10 horror games. They have some other awesome games which almost made it on my list, so check it out if you want more options for horror games. Have fun playing!